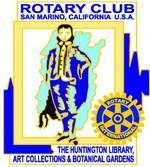 The San Marino Rotary Charities annually sponsors a grant award program for San Marino public and private schools. The program started modestly in the mid-1990’s and today awards up to $40,000 to teachers at the local schools. Since the inception of the program, over $250,000 has been awarded to local teachers. The Mini-Grant program awards up to a $1000 cash grant for a single project to a teacher to support an innovative classroom instructional project. Teachers can collaborate on projects and request in excess of $1000 for joint projects. Note: There are 2 applications: Single Project up to $1000 or a Joint Project in excess of $1000. Many of these projects funded by the Mini Grant program have been subsequently adopted throughout the local schools after having been successfully tested as a prototype project the teachers receiving the awards. The purpose of the William G. Steele, Jr. Mini-Grant Endowment Fund is to generate income to support the Mini-Grants to fund projects that take place at local schools, with a preference for projects that will have a longer lasting impact. Donations to the Endowment Fund are accepted from Rotarians and the general public. I n 2007, San Marino Rotarian Andy Barth offered to create the San Marino Rotary Charities William “Bill” G. Steele, Jr. Mini-Grant Endowment Fund as the initial major donor to honor Bill Steele who passed away in 2006. 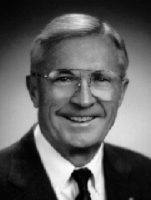 Bill Steele was a member of the San Marino Rotary Club for over 33 years and served as President of the Club 1979-80. The Endowment honors long-time San Marino Rotarian William “Bill” G. Steele, Jr. who championed the annual Mini-Grant program which supports and recognizes local teachers with funding grants to fund innovative projects at schools. The San Marino Rotary Club accepted his offer and subsequently an additional donation from another Rotarian’s foundation plus matching contributions from Rotary Club members established the initial Endowment Fund at $125,000. The goal of the Endowment is to reach $400,000 in total funds before annual funding is generated to support the annual Mini-Grant program. Presently, the Mini-Grant fund awards $40,000 to local teachers. Please direct contributions to the Charity’s Treasurer, Dennis Kneier, at 626.578.1109. Photos of the Kiln Project as well as the Publishing Project.